Starman is a forgotten classic. If you’ve already seen it, I applaud you. If you haven’t, I suggest you check it out. This movie never got the attention it deserved, possibly because it came out just two years after another movie about an alien who comes to earth and gets the help of humans to return to its ship. With any luck, Starman won’t stay hidden for long because we’re going to bring this would-be classic to light at long last. I’ve heard this film compared to E.T. The Extra Terrestrial, but I think it more closely resembles the season-two episode of Star Trek: The Next Generation entitled “The Child.” In that episode, a being of pure energy comes aboard the Enterprise and, in order to fully understand humanity, it enters Counselor Deanna Troi and is born as a human child. The child ages rapidly and grows close to his mother (or as close as he can in a 42-minute episode). But when he discovers he’s putting the ship at risk, he leaves, never to return. It was a pretty substandard episode, but Starman takes the same material and turns out a very good movie. Starman begins with a similar premise to Star Trek: The Motion Picture (I know, enough with the Star Trek references. I’m the Deja Reviewer, so I see lots of similarities in movies. That’s just my thing. This is hopefully the last Star Trek reference in this article, though). In Star Trek: TMP, one of the Voyager probes lands on an alien world and is sent back to earth housed in high-tech gadgetry. In Starman, one of the Voyager probes lands on an alien world and shares its message of universal friendship from the people of earth. Encouraged by this polite invitation to visit earth, the aliens send one of their kind, who looks like a ball of energy, in a spaceship for a friendly chat. Why a being of pure energy would need to travel in a spaceship, I have no idea. Maybe it needs to stay near an electrical outlet like the aliens in *batteries not included. Anyway, before you can say UFO, the U.S. Air Force launches a missile that knocks the ship off course. That’s when the ball of energy realizes humanity’s approach to greeting aliens is patterned after Will Smith more than Richard Dreyfuss. After a spectacular crash in a Wisconsin forest, the ball of energy goes to a nearby house where a woman named Jenny is grieving the loss of her husband a year after he died. 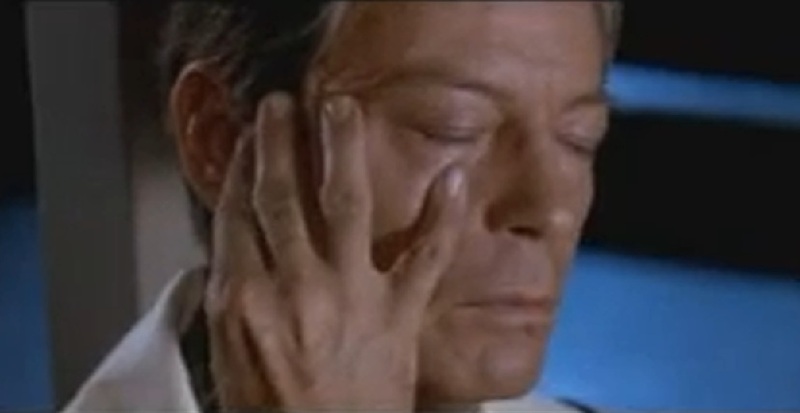 The ball finds a few strands of her husband’s hair and, in a move stolen by A.I. Artificial Intelligence 20 years later (hey, at least it’s not a Star Trek reference), clones itself into an exact duplicate of her husband, Scott. He essentially kidnaps Jenny and forces her to drive him to a crater in Arizona, where his ship was originally heading. If he doesn’t get there in three days to be picked up by an alien ship he will die. Again, wouldn’t it have made more sense for the ball of energy to fly over to Arizona, rather than becoming a man who must be transported, fed and cared for in new ways Starman is unprepared for? We’ll let that minor plot hole pass because we get to see two fine actors work because of it. Jenny is played by Karen Allen of Raiders of the Lost Ark, and Scott is played by Jeff Bridges of more movies than you can imagine. They are both wonderful in these roles, capturing all the emotions and struggles these characters go through perfectly. Plus, their witty dialogue is probably the best part of the movie. 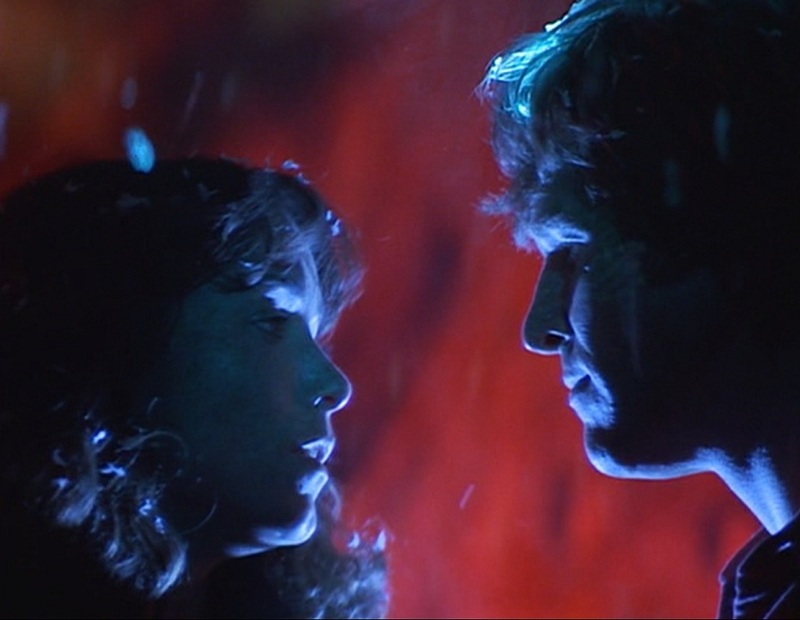 In the first half of the film, Jenny keeps seeing Scott in Starman, and is frustrated that he has no memory of their lifelong relationship. But in the second half she falls completely in love with Starman himself and soon she doesn’t even seem to notice that he looks like Scott, but that he is simply the man she loves and can’t stand to be without. Bridges pulls off the task of being an alien visitor beautifully. If you don’t think he does an amazing job, just try watching Universal Solider (I don’t recommend it because it will probably make your brain implode from its silliness), and compare Jean-Claude Van Damme’s portrayal of a strange, monotone person trying to fit into society with Bridges in Starman. Each scene brings Starman closer to understanding humanity in personal ways, and he’s always building on his knowledge of people and their language. Near the end of the film, Starman tells Jenny about his home planet: “We are very civilized, but we have lost something. You are all so very alive. So different. I will miss the cooking and the singing and dancing. And the eating! And the other things.” By other things, he means the love he feels for Jenny. I’ll go into more detail on the implications of this baby a little later. For now, I’ll just say that this twist opens up new possibilities few science fiction/fantasy stories have dared to consider (except maybe Breaking Dawn. 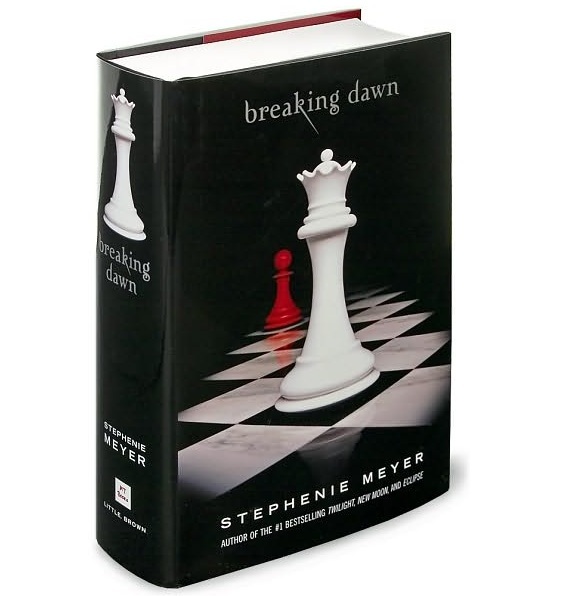 I’m no Twi-Hard, but I definitely like that book). 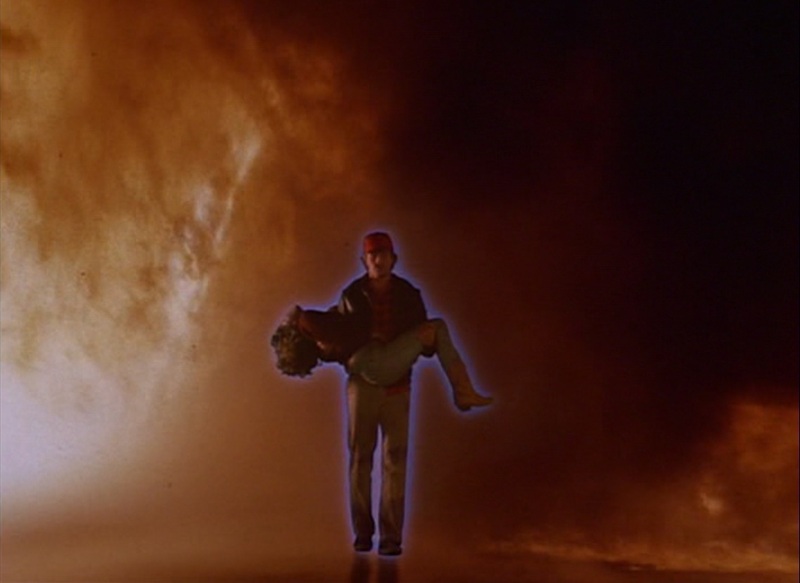 The moment Starman really starts to love Jenny is after she is shot and killed by a policeman during a high-speed chase. He escapes with her lifeless body in a fiery explosion and proceeds to bring her back to life as they continue their journey. He decides he cares about her too much to let her stay in harm’s way with him, so he just leaves her at a truck stop, with no note and no explanation of why he left her. Then, as if the movie hasn’t pulled my heartstrings enough, he says, “Tell me again how to say goodbye.” And she responds, “Kiss me and tell me you love me.” Even though they just met three days ago, they embrace with just as much passion as lifelong lovers. Both have been changed for the better by their experiences together. Even though the baby will know everything he knows, Starman still asks Jenny, “Tell the baby about me.” At first, I wondered why the child would need to hear about Starman from Jenny if he would already possess all of his knowledge. But now I think this is because he wants his earth child to not only have an alien perspective on Starman and his love for Jenny, but also a human perspective on these important things. Then, in a brilliant moment of ambiguity, Starman hands Jenny his final orb, which is just like the others he used to perform miracles, like resurrecting the dead. “What should I do with this?” she asks. He simply responds with, “The baby will know.” What a great idea to throw this in at the end. It’s even better than when Spock whispered “Remember” into Dr. McCoy’s ear at the end of Star Trek II: The Wrath of Khan (I honestly wasn’t intending to throw in another Star Trek reference, but I couldn’t help this one. Sorry). This leaves open the possibility of a sequel and it sweetens the bitterness of seeing Starman leave. Perhaps he knew Jenny would suffer greatly at having to lose her beloved Scott twice and so he gave her this gift of hope that her son would be like him and do something great in the future. Now she can look to the future with joy, and the audience can walk away from the film feeling more satisfied than sad. 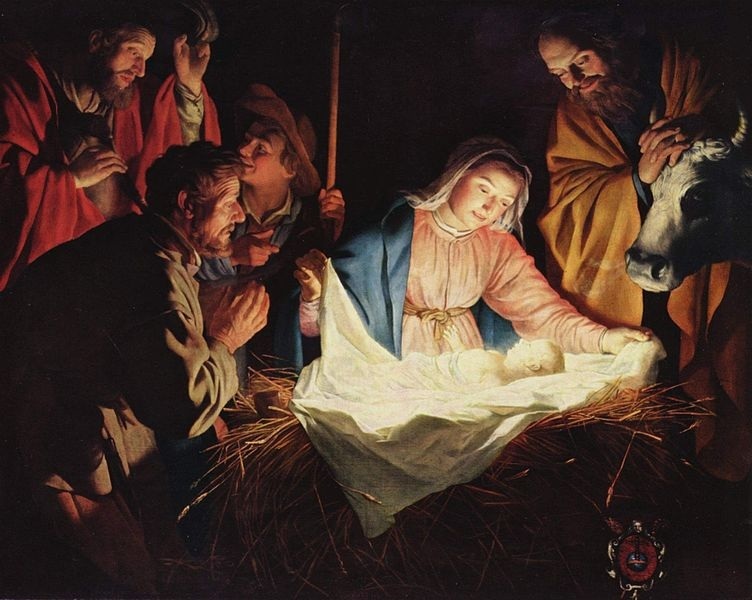 It’s easy to see how Starman is an allegory for the life of Jesus Christ: A half-man, half-god-like-being is sent to earth, is miraculously born, goes about trying to do good and understand people better, has power to restore life to the dead, and must be taken up to his heavenly home in just three days. Yes, even more than E.T., Starman is a Christ-type. Starman is a subtle Christ-type because he’s not on earth to be a savior or anything like that, but only to study and share his knowledge with the world through his son, who will also be born through miraculous conception. What Makes This a Classic? Starman deserves to be a classic because it does everything right. It could be simply defined as a fish out of water, romance, science fiction and/or road trip story. But even though it has clichéd elements to it, it pulls off those parts in fresh, interesting ways. These lines crack me up every time. And this movie touches me every time. It builds an emotional bond with the characters that stays with me long after I finish watching the film. 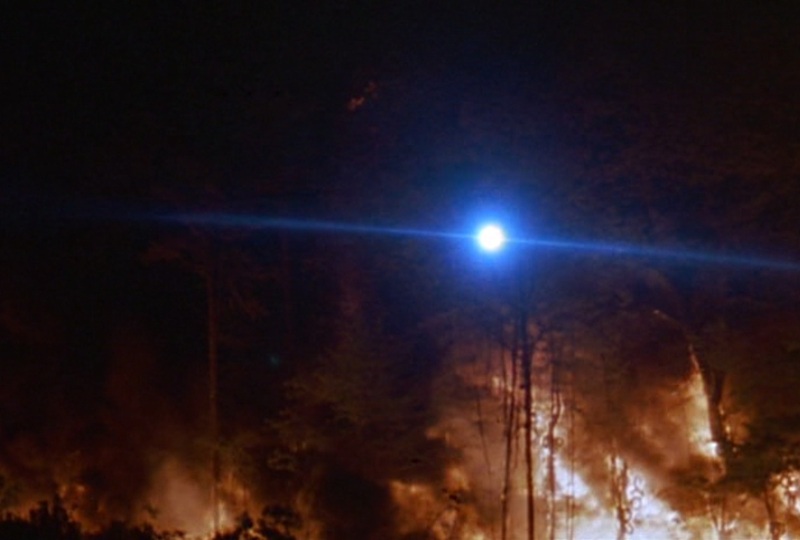 The Fog (1980) did respectable business and was a pretty good follow-up to Halloween, or so I’m told. I’ve never seen this movie. Escape from New York (1981) showed that Carpenter could do action as well as horror. It also began his professional relationship with star Kurt Russell. The Thing (1982) was a commercial underperformer and critical failure, though it’s become an influential cult classic. Christine (1983) was a modestly successful adaptation of a Stephen King book. Big Trouble in Little China (1986) was a commercial and critical failure, but it has also gained a sizable following over the years. Prince of Darkness (1987) failed, but at least it represented Carptener’s attempt to return to the primal fear that gave his early films much of their power. They Live (1988) was a fun mess, and it arguably inspired one of the worst video games of all time, “Bart Simpson vs. the Space Mutants.” Wearing sunglasses to see the aliens through their costumes? Think about it. Carpenter’s plots are usually slow-paced and take their time to get started. He was a great choice for the director of Starman for this and several other reasons. The film has just enough buildup and payoff to feel truly satisfying. Plus, it takes about 15 minutes to really get going, which is much faster than most of his films, except maybe The Thing. It probably helped that Carpenter wasn’t the writer and Michael Douglas (the producer/actor of Romancing the Stone) produced this movie. All in all, Starman is worth a watch. It’s entertaining, thought-provoking and it has a wonderful ending. I highly recommend it. All photos from Starman are the copyright of Columbia/Tristar Pictures. The other photos are the copyright of their respective owners. This entry was posted in Forgotten Film Gems and tagged 1980s, christ-type, films, funny, jeff bridges, jesus christ, john carpenter, message movies, movie review, movies, relationships, romance, science fiction, star trek, starman, will smith. Bookmark the permalink. Well written, detailed review. There was a sequel. A 1986 TV series named “Starman” where he returns 14 years later to help his son. It just came out on DVD from Amazon as a manufacture on demand title. It’s even better than the movie. Read the reviews on Amazon. Thank you so much. I definitely need to check that out. I can’t imagine how it could be better than the movie, but I’d love to find out. That movie screamed for a sequel, so it’s great that they found a way to turn it into a TV show. Just re-watched this classic last night on a whim. I loved it as a kid. The scene with the deer was stirring and I’ll never forget it. Karen Allen is exceptional in this film. The writing and pacing is great. Sadly it’s only failure is it’s cheap score. It may be why it fell to the wayside unlike it’s bigger budgeted rivals of the time. i.e. E.T, Star Wars, Close Encounters etc. I also think the 2011 film Drive owes immensely to this film. Thank you for sharing. I like the haunting love theme in Starman, but it is a bit overused, and I would have liked to hear a greater variety of themes in the soundtrack. John Carpenter usually does all the music for his movies. He did produce one of the most memorable themes of all time for Halloween, but since then all his musical work was mediocre at best. I definitely agree that this movie is perfectly paced, and it has so many great lines and payoffs. I haven’t seen Drive, but maybe I’ll have to check it out if it’s anything like Starman. Thanks for the suggestion! Carpenter did not create Starman’s score. It’s by Jack Nitzsche. It would have been wonderful if Carpenter tried to do the score. How WELL it stood the test of time. i enjoyed this film and am pleased to learn there is a sequel. What is the name of the sequel, please. There was a Starman TV series that lasted a single season from 1986 to 1987. It’s even on DVD: http://www.amazon.com/Starman-Complete-Series-Robert-Hayes/dp/B007G8SEF2. I’m so glad the story got to be continued in some format, even if it didn’t return to the big screen. I have always felt this was an under- rated film with Jeff Bridges, and his beautiful co-star.. Tonight for the first time I managed to watch it with subtitles and so followed all of the dialogue. The music has haunted me since I first heard it (I don’t have to “work out” music unlike dialogue. I wish I knew what the music was. The ideology, actors and gentle love theme make it a film I shall watch again as a treat after dealing with humans similar in nature to the man in charge of capturing the starman. Thanks for your well done, detailed, spot on review of Starman and for bringing a true classic to the attention of many who have either missed it or just plain didn’t get it. For those commenters who didn’t like the simple, but incredibly beautiful and touching score, what planet are you from? I can’t even begin to describe how the haunting music, in perfect harmony with the drama that unfolded, brought tears to my eyes no less than 6 times during the movie. That is a record – a least for me! A truly “classic” film, IMHO, must have all of the following ingredients: great script; great acting, laughter, tears and great original score. This movie does it all – and then some. And finally, I read many reviews on Starman (e.g., Roger Ebert, New York Times) after viewing the movie this morning, some three decades after my original viewing. 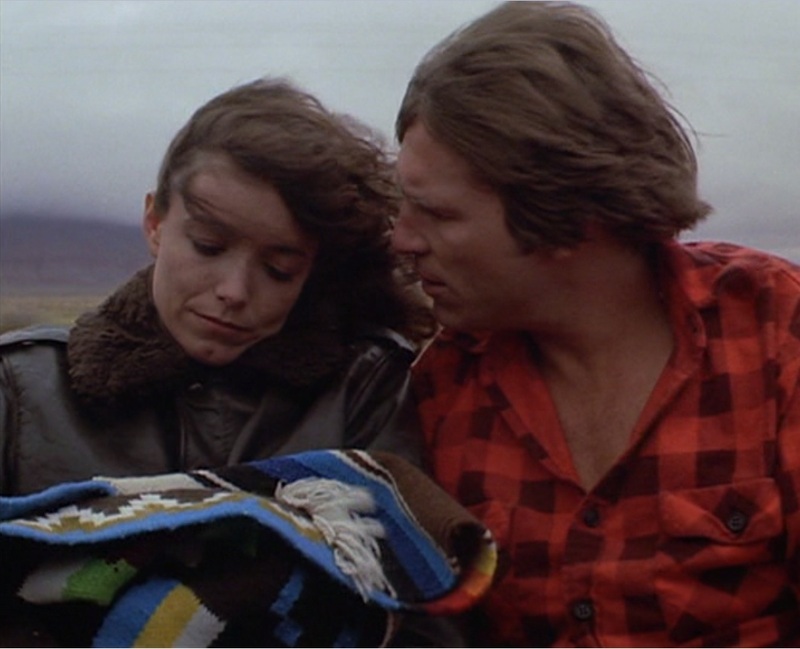 All of the accolades are pretty much directed at the outstanding acting job performed by Jeff Bridges, pretty much treating Karen Allen as “the other actor”. But for me, Karen Allen stole the show. I only wish I could hug her, as did Starman in the final scene, and tell her that my children will most certainly know about her.